In the first article in this series, I showed how Dürer’s great innovations led to the use of watercolour as a medium for making studies, topographic views, and some quite substantial finished paintings, across Europe. Watercolour painters developed specialist techniques, such as keeping ‘reserved space’ to let their white paper ground show through, wet on wet as well as wet on dry application of paint, and scratching out. They also employed both transparent and opaque paints, according to the need and their style. 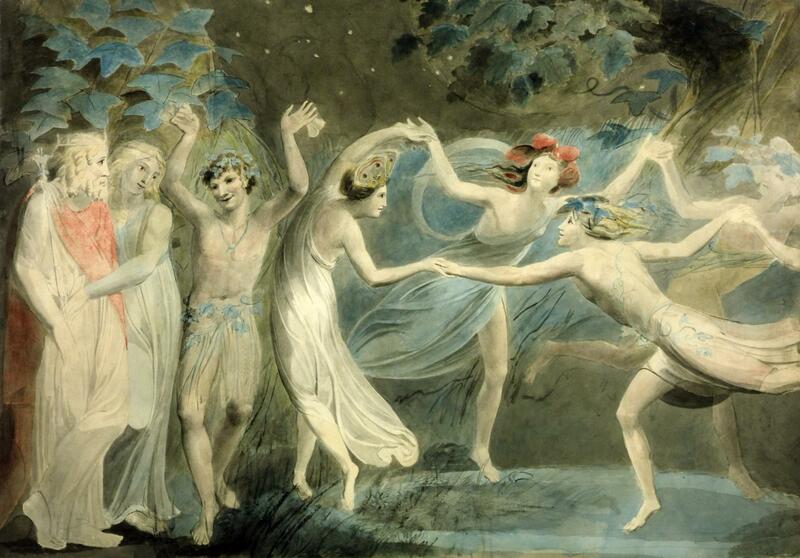 Throughout Europe, watercolour had become a rival to oil paint for landscape painting. Those making oil sketches en plein air tended to gravitate around Rome and in southern Europe, where the weather was more consistent, and its warmth allowed oil paint to become touch-dry far more quickly. In northern Europe, particularly the British Isles, cooler temperatures and shorter breaks of good weather made watercolour sketches more practical, and this helped the development of the medium as the choice of most landscape painters there. 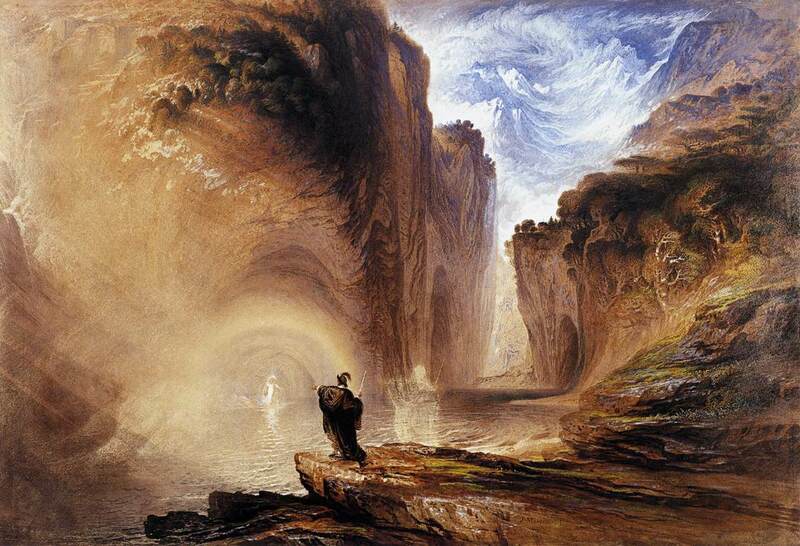 Among the British painters who developed from the tradition of topographic views was Samuel Palmer. 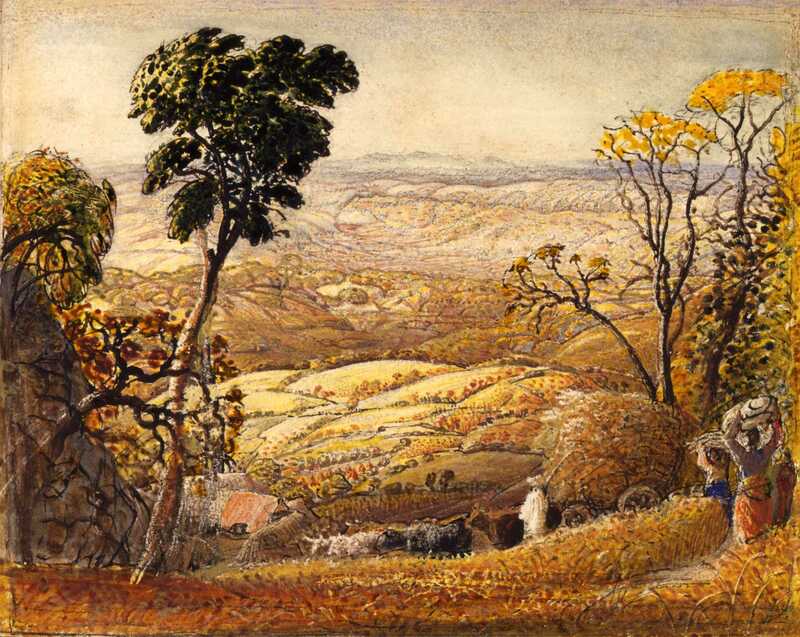 Initially inspired by the innovations of William Blake (see below) and John Linnell (1792-1882), Palmer’s golden views of the south-east of England use both transparent and opaque watercolour for a very distinctive effect and style. 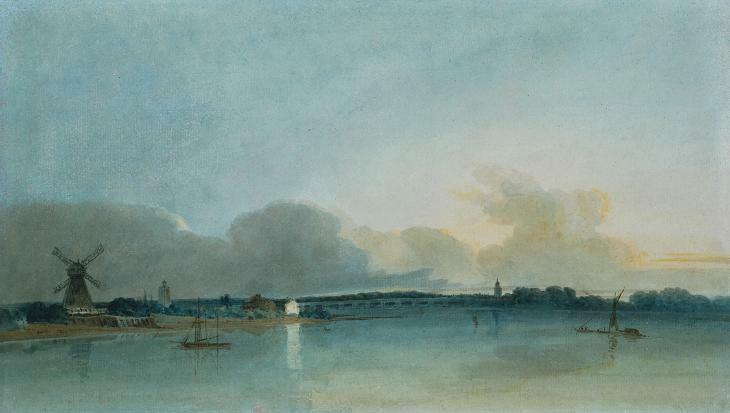 Palmer’s later paintings – this made in the year that JMW Turner died – used a wider variety of techniques in a looser style. 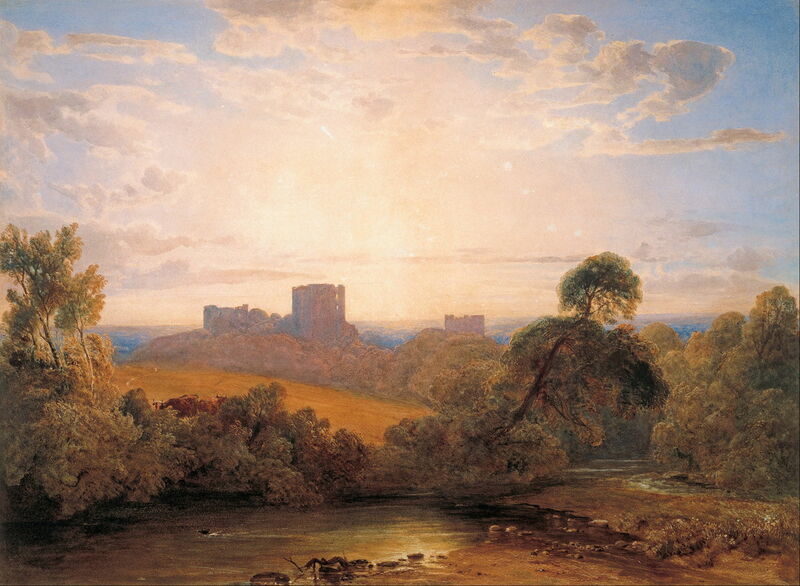 Peter De Wint (1784-1849), Kenilworth Castle (c 1827), watercolour on paper, 51.4 x 70 cm, Art Gallery of South Australia, Adelaide, South Australia. Wikimedia Commons. Peter De Wint was another who took the tradition on, with spectacular use of the medium in his Kenilworth Castle (c 1827), for example. 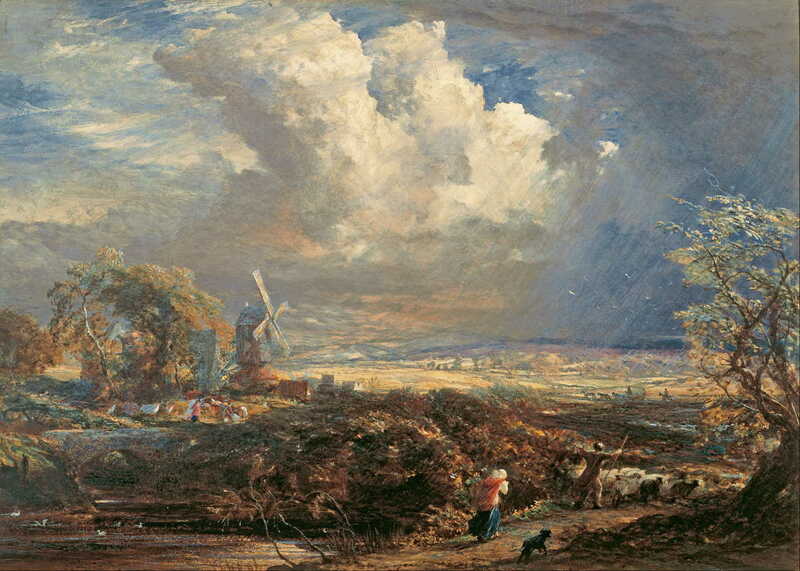 The main innovators at this time, though, were a trio of major artists: Thomas Girtin, John Sell Cotman, and JMW Turner. Between them, they transformed not only watercolour painting, but painting as whole. Of the three, it was probably Thomas Girtin who was the most brilliant, but he died very young in 1802, having progressed rapidly from traditional views (above) to far more lyrical works, such as The White House at Chelsea (1800), below, in just a few years. 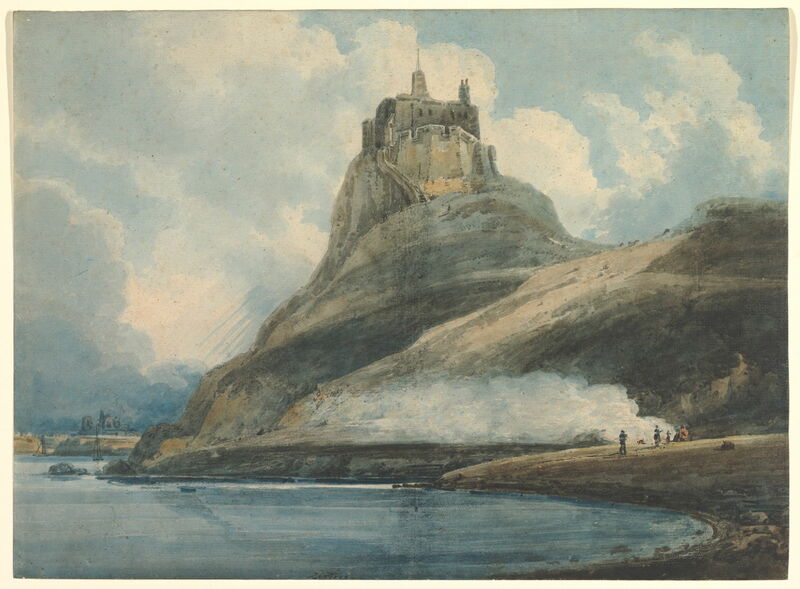 John Sell Cotman (1782–1842), Aberystwyth Castle (1796-1806), watercolor on medium, moderately textured, cream laid paper, 30.8 x 52.1 cm, Yale Center for British Art, New Haven, CT. Wikimedia Commons. 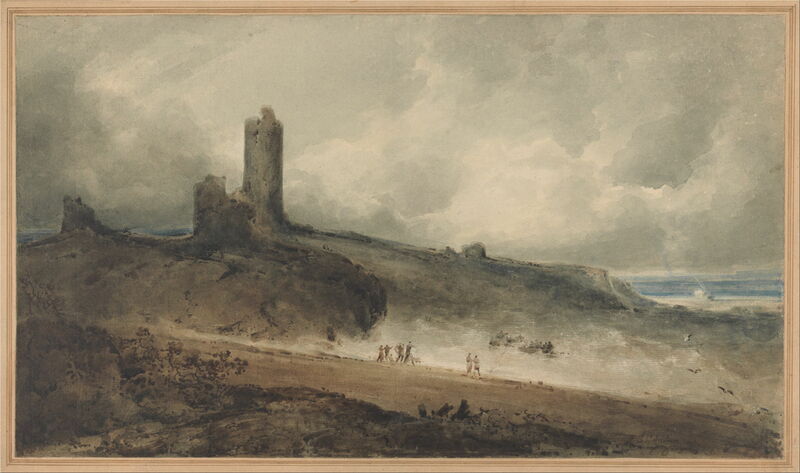 John Sell Cotman’s paintings are sadly not as accessible, with his view of Aberystwyth Castle (1796-1806) giving an idea of his early work. Joseph Mallord William Turner (1775-1851), Kenilworth Castle (c 1830), watercolour, body colour and graphite on paper, 29.2 x 45.4 cm, Fine Arts Museums of San Francisco. WikiArt. 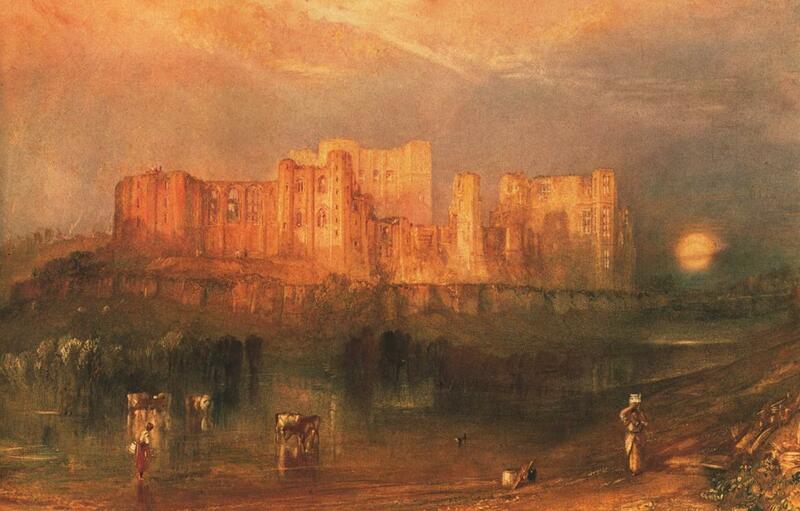 It is interesting to compare Turner’s fine watercolour of Kenilworth Castle, above, with Peter De Wint’s rather more traditional approach shown earlier; these were painted within just a couple of years of one another. 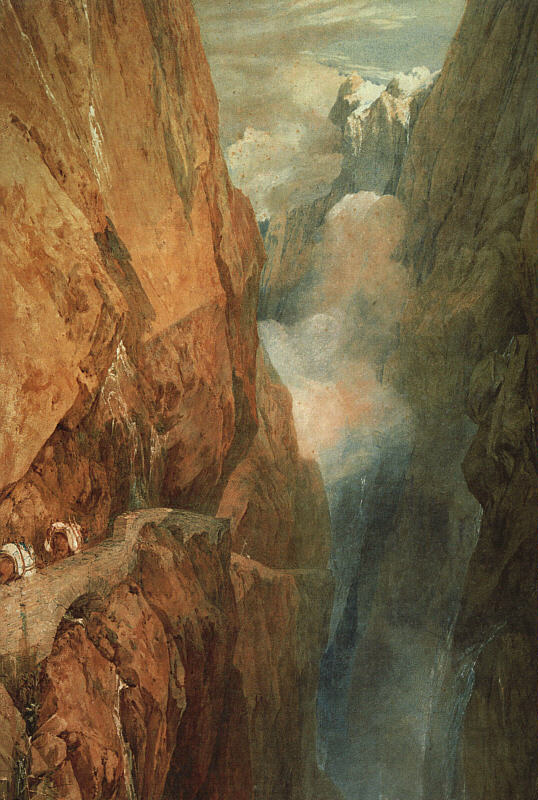 JMW Turner was by no means the only radical British painter of the early nineteenth century. 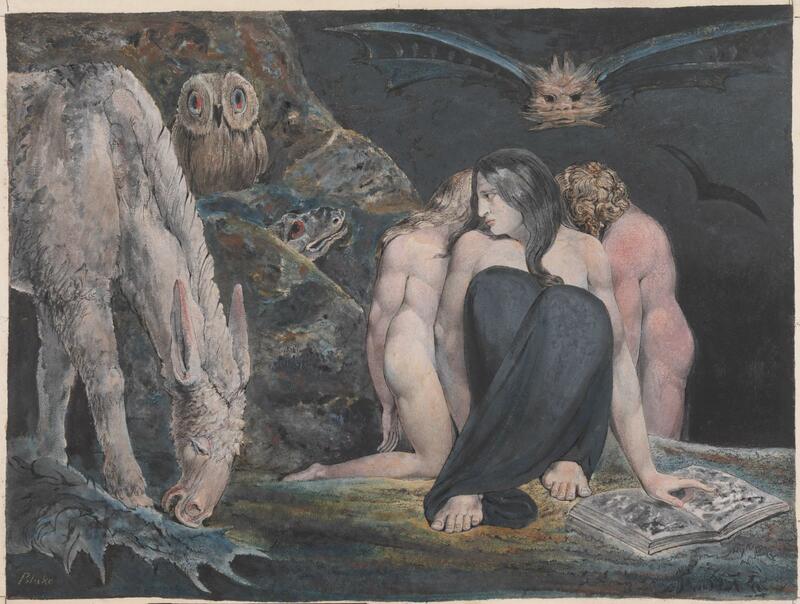 As he was painting the fleeting effects of light and using a wide range of techniques, William Blake was developing what is now known as mixed media painting, far in advance of his time. Blake’s early watercolours emphasised design, but he also applied watercolour to his prints, in increasingly complex combinations. 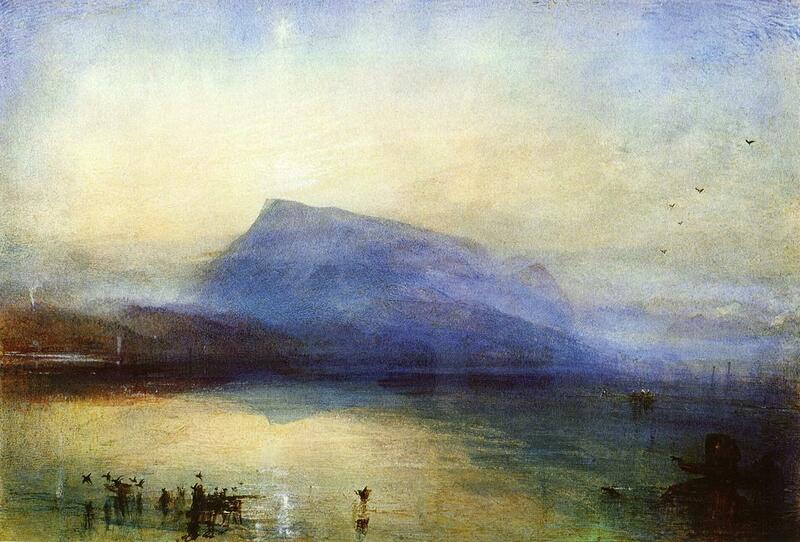 Other artists, such as John Martin, took watercolour further away from its ties to landscape. The next article will show developments in continental Europe, and how styles and techniques evolved in the latter half of the century. Posted in General, Painting and tagged Blake, Cotman, De Wint, Girtin, history of painting, Martin, painting, Palmer, Turner, watercolour. Bookmark the permalink.